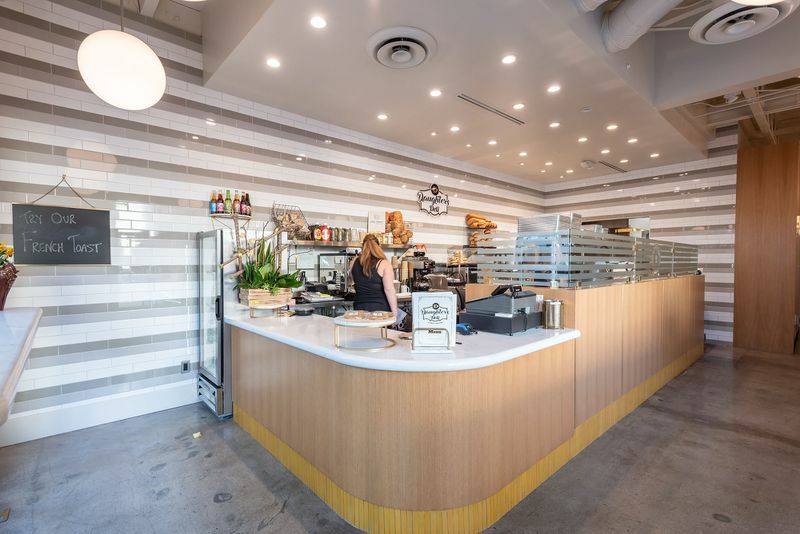 Daughter’s Deli comes from Trisha Langer, the daughter of Norm Langer and granddaughter of Al and Jean Langer, who founded the legendary Jewish deli that’s widely considered one of the country’s best. 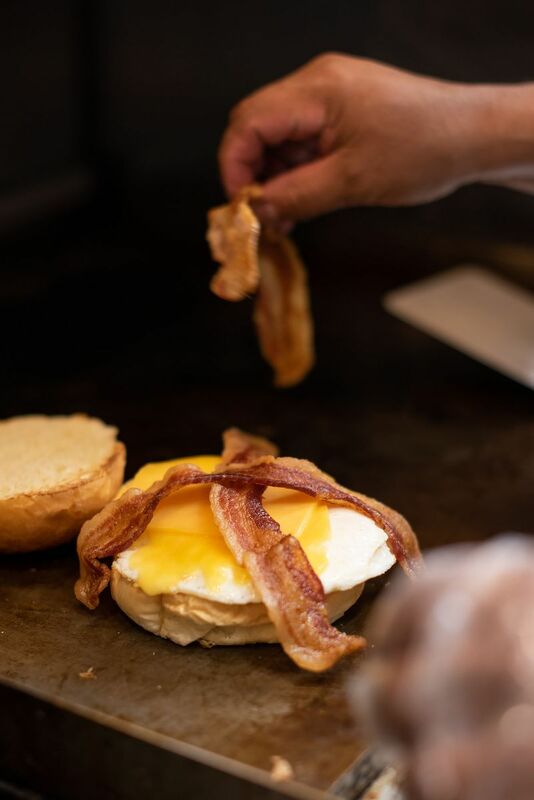 Trisha, along with her husband, decided to go on their own deli adventure after she worked for years with her father Norm at the iconic Westlake restaurant. 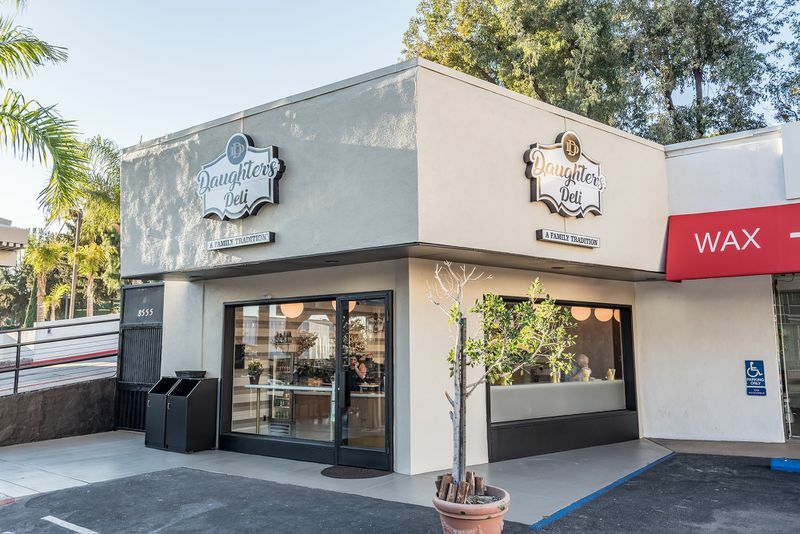 Opened November 14 in West Hollywood’s Sunset Strip, Daughter’s Deli uses many of the same ingredients and menu items as Langer’s, but with Trisha’s own approach and unique additions. 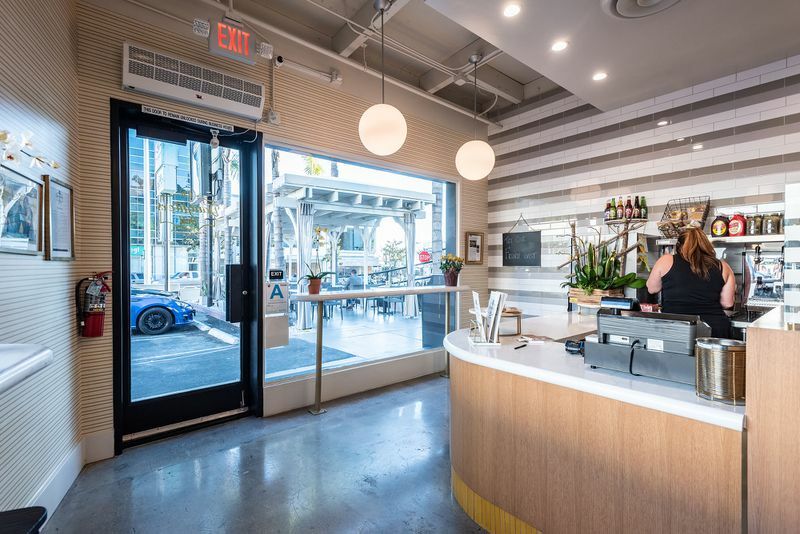 Eater spoke at length with Trisha Langer, who said she knew there would be a lot of anticipation and expectation with her new deli, a fast-casual experience with modest outdoor seating and a small interior footprint that lends itself to takeout. 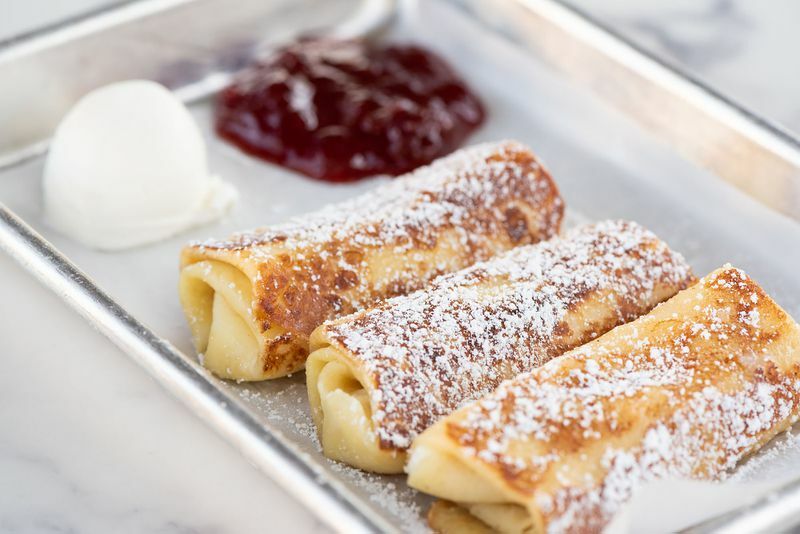 Juggling family life (Trisha and her husband have two young children) with opening a new business has been no simple feat, and she’s been surprised by the positive response from early diners. 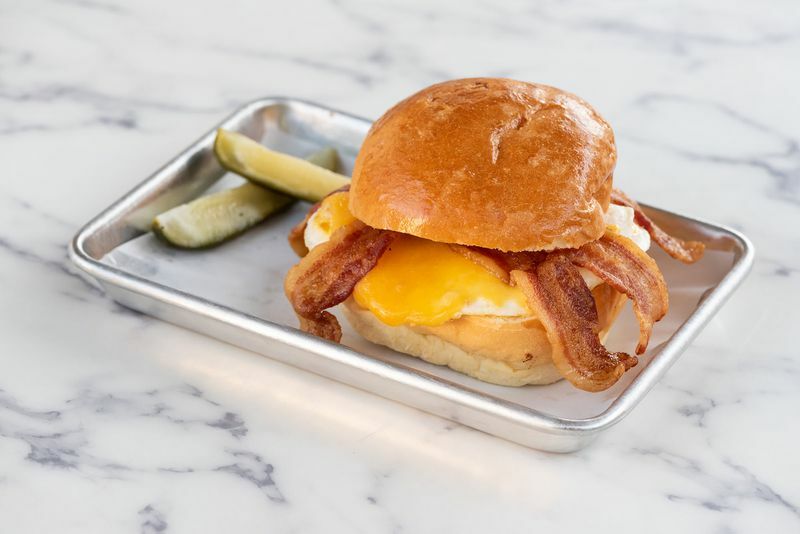 With a much smaller, but equally compelling menu, Daughter’s Deli starts the day with breakfast sandwiches such as lox and cream cheese; pastrami with egg and swiss; fried eggs with bacon and cheddar; and smoked whitefish salad. There’s lox or smoked whitefish dishes served like a classic Jewish deli appetizing plates. Though the rye bread is the same twice-baked stuff from Langer’s Deli, Trisha uses plush brioche buns for other sandwiches from Larder Baking Co. 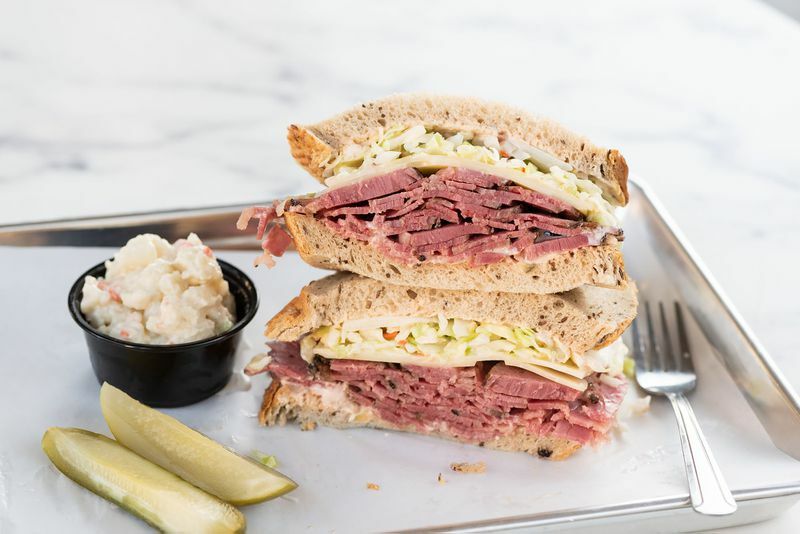 The lunchtime sandwiches feature the same pastrami and corned beef produced at RC Provisions, which also supplies Langer’s Deli, though the cuts and specifications of the beef are slightly different. 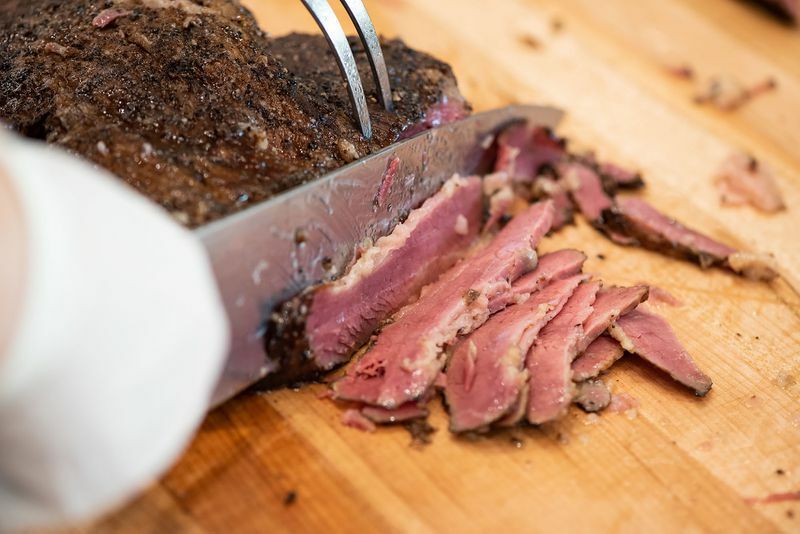 A hot pastrami or corned sandwich on twice-baked rye comes with mustard and a side of cole slaw or potato salad. And of course, a dill pickle, all for $15 (or $14 for the corned beef). The “Papa,” named after Trisha’s grandfather Al Langer, is a rendition of the iconic #19 sandwich, comes with hot pastrami, Swiss cheese, coleslaw, and homemade Russian dressing. Meanwhile, the “Nana,” a nod to Trisha’s grandmother Jean, comes with corned beef, sauerkraut, Swiss cheese, and Russian dressing between grilled rye bread for Reuben-esque sandwich. 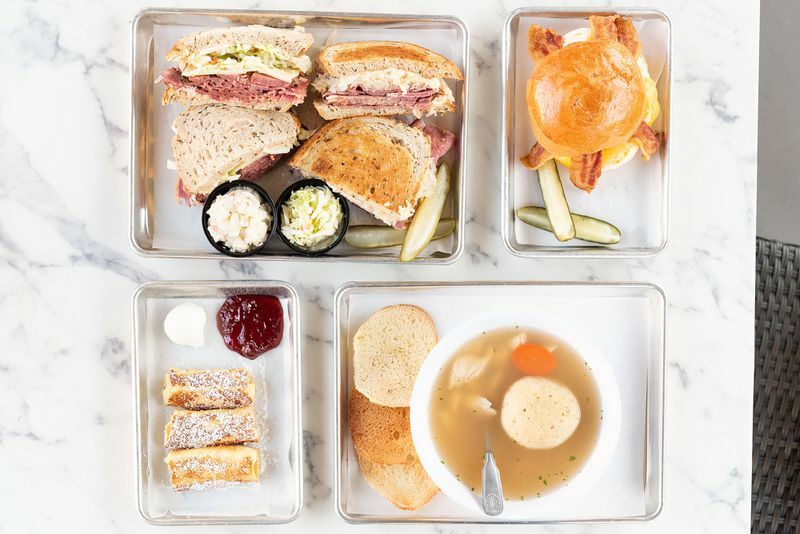 The Meyer sandwich comes with both pastrami and corned beef with mustard, a nod to the maximalist #54 sandwich at Langer’s that uses both meats, while a tuna melt comes with cheddar on grilled rye. Other sandwiches include chicken salad, fresh turkey breast, egg salad, and even a BLT, plus some tossed salads like Caesar and a house salad, since this is West Hollywood. 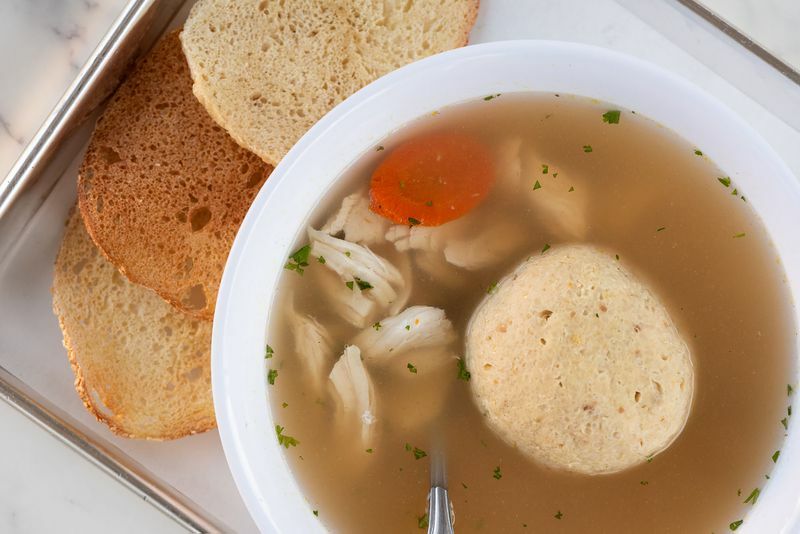 Jewish deli classics like matzoh ball soup come in two sizes while there’s the requisite chocolate or vanilla egg cream in the drinks department. 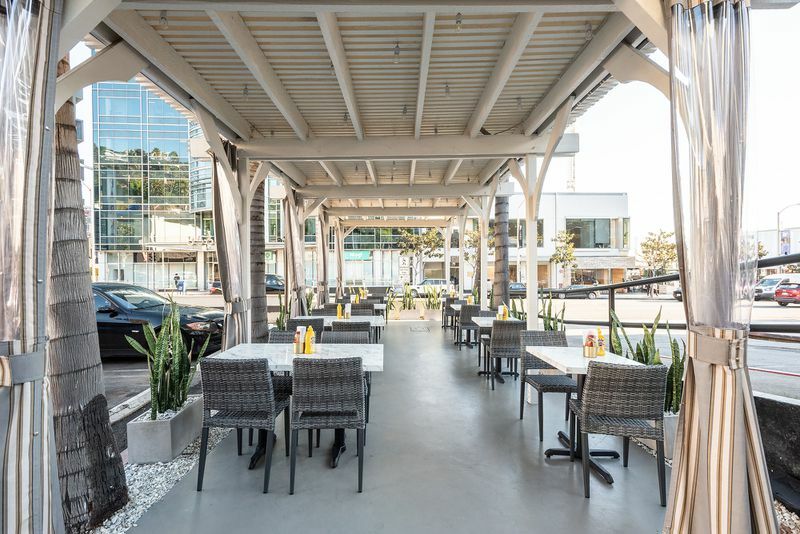 There are slight variations of the Langer’s menu, like locally roasted coffee vs. the more mass roasted diner-style coffee in Westlake. Trisha was keen on drawing a line between her family legacy and this new venture, something she wanted to create and run with her husband. Daughter’s Deli is open 8 a.m. to 4 p.m. daily. Daughter’s Deli. 8555 Sunset Boulevard, West Hollywood, CA 90069. 310-652-6552. 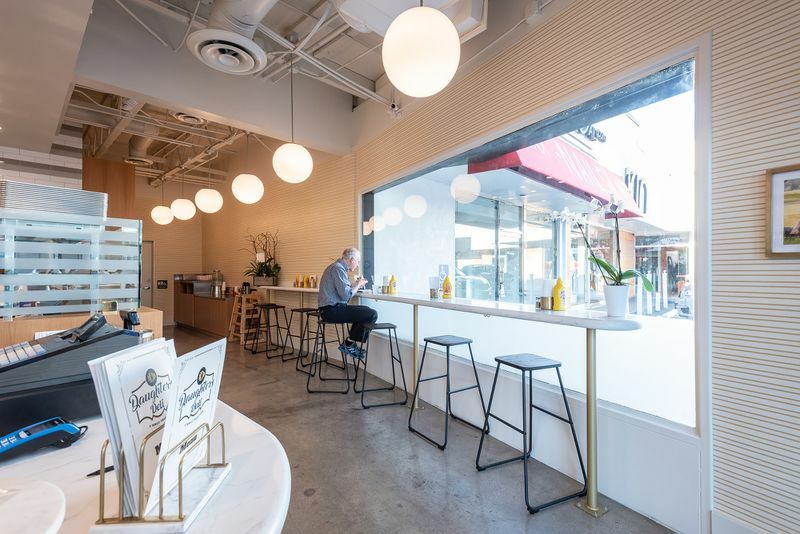 “LA’s Newest Jewish Deli Comes From the Legendary Langer’s Family Legacy.” Eater LA – All. 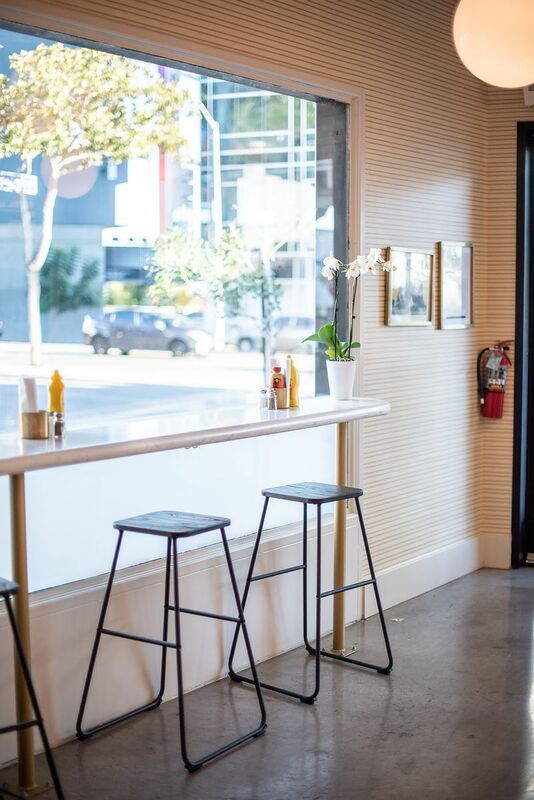 https://la.eater.com/2018/12/4/18125847/daughters-deli-west-hollywood-pastrami-jewish-deli-opening-photos.